Are Police Voting for Shafik? Here are the links to all news items indicating that the police are implicated in voting for Shafik. Ahmed Abdel Aleem - Facebook note with an account of fake voters added in so that elections are rigged. 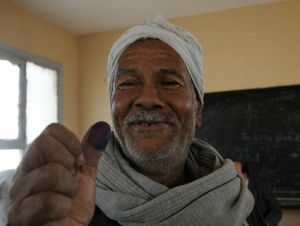 Ahram Online - A voter in one of the polling stations in the Nile Delta Gharbiya governorate found his name listed on the voting roster more than 50 times. Cases of voters' who were registered in multiple entries on voting lists were a recurrent phenomenon during past parliamentary elections. Colleague whose brother is in army said he'd been released to vote. When i asked for who she realized mistake & clammed up. judges, and poll workers and the list produced well in advance of election day." This raises questions as to whether the supplementary voters' list included all the policemen indeed, and whether this list was actually enforced. Considering previous evidence, it seems likely that the list may not have been comprehensive and may not have even been enforced. Al Watan- Carter report states that judges received supplementary lists of police voters and did not enforce them. 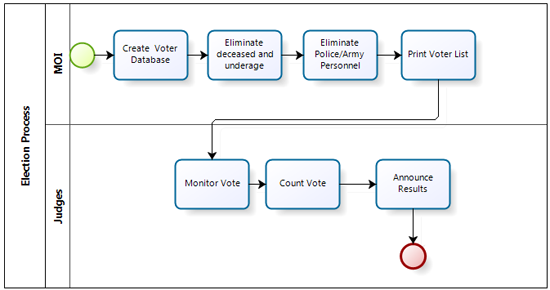 Disclaimer: Processes are hypothetical and greatly simplified only to illustrate of the issue of police voting. Good video summary of voter injection. If you’re one of those stubborn citizens of Egypt who voted for Ahmed Shafik, then congratulations, you’ve chosen Mohamed Morsi. Now that the run offs are between Shafik and Morsi, it becomes apparent that your anti-Islamist drive is leading to a near-certain victory for an Islamist. Here’s why. The vote for Shafik is mostly a reaction to Islamists and partly support of felool. Shafik alienates Islamists, revolutionaries and those who are anti-military-anti-felool. Morsi on the other hand is a vote for Islamists, Ikhwan and some anti –military-anti-felool. In a run-off between Morsi and Shafik, revolutionaries will probably boycott; between a military felool and an Ikhwan Islamist, many will see no point in choosing. What’s more, those against the military might naively vote for Ikhwan thinking their rule better than a Mubarak-like dictatorship. Had the run-off been Morsi and any other candidate, a great cross section would not have been alienated as such. If Morsi had faced Abol Fottouh, the Islamist vote would have been split. Also revolutionaries, liberals and all sorts were going to try and stop the Muslim Brotherhood’s power grab. If it had been Hamdeen Sabbahy, the Islamist vote wouldn’t have been split, but everyone else would have been on board to pre-empt the Ikhwan’s attempts at full dominance. Even with Moussa, some revolutionaries and anti-military voted might have voted for him as an alternative to authoritarian Ikhwanism. Yet the vote for Shafik in a run off makes his chances weaker in the next round. Abol Fottouh’s supporters will be either vote for Morsi or boycott. Hamdeen’s supporters might not really support either candidate and a few of Moussa’s supporters will vote Shafik. 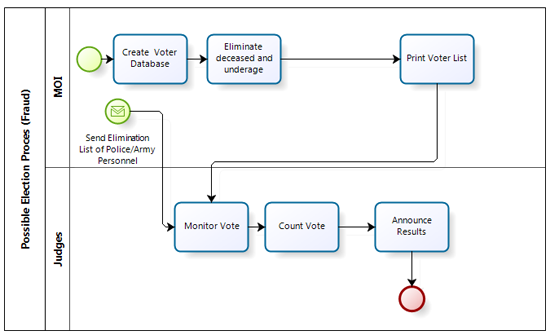 All this does not even take into account for how powerful the Muslim Brotherhood voting machine really is. With a low turnout due to disenchantment with the run-offs, the Brotherhood will mobilize most of its voting base without much opposition to drown their votes. In the first free unfair elections, Egyptians did not try to choose what they want but what they thought was wise. Some voting for Aboul Fottouh thought Hamdeen had little chance, those voting for Hamdeen thought Khaled Ali had little chance, those voting for Moussa may have thought Hamdeen had little chance and those voting for Shafik wanted to avoid getting Morsi. Everyone catered to their own fake sense of wisdom and in the end, the compromises did not yield the intended results. If everyone had voted for their values rather than their calculations the results may have been entirely different. But these elections are not about choice, they are about fear and fear clouds our judgment and leads to such results. The biggest losers I think are the Copts who might end up with the exact opposite of what they chose. But still under the new regime being formed, the only thing worse than being a Copt, is a being a revolutionary Copt. Because in any and all cases, with these options and any results, the two groups that will be targeted are Copts, as they have been under Mubarak and revolutionaries. Egyptian voter, welcome to reality, you don’t choose through your vote, your vote chooses for you. 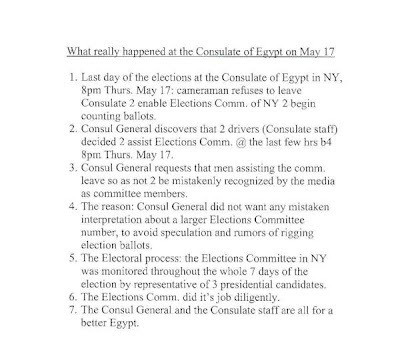 The video shows a reporter being assaulted while filming the elections in the NY consulate. The Consul General at the NY consulate, Youssef Zada (@ymzada on twitter) is seen to be wary of the journalist and approves the assault and the confiscation of the camera. The interesting thing to note is that @ymzada blocked me on twitter when I criticized the fraud. I also criticized the assault which is technically thuggery, something practiced constantly by the Egyptian regime. If @ymzada had not been guilty, an explanation would have been sufficient, but as you can see from the response, it looks like a cover up. It is important to note that Ahmed Shafik and Amr Moussa won the highest votes in NY. But what does the video and response mean? I would imagine that the real fraud happened in counting the votes. Fraud has been committed, I’m only speculating on how. There are two people who are counting the votes not from the committee who are probably charged with discounting most votes that are not Ahmed Shafik and Amr Moussa. When someone was about to film them, Zada wanted to make sure that the involvement of these unauthorized employees is not uncovered. 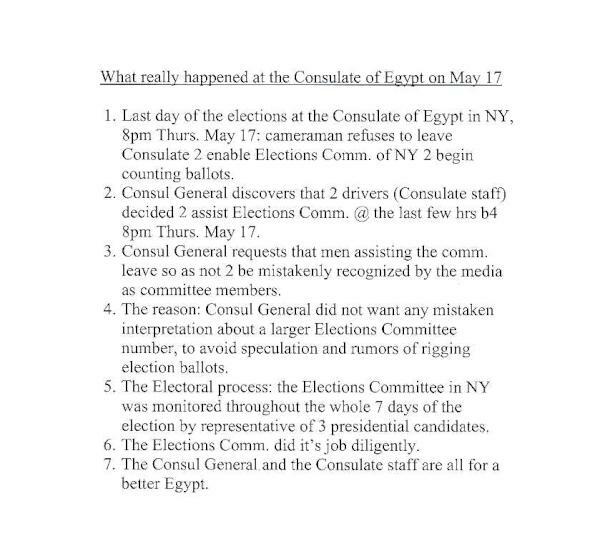 The reason I am sure that fraud had been indeed been committed is because I have reports from several reliable sources that they have voted for Khaled Ali in NY yet his results came out zero. The morons doing the rigging did not even include one or two votes. It is important to note that the story of the two men being asked to leave happened after the video was out. It seems that is when all the rigging will take place, during the count. In the Holland embassy, Shafik came out on top as well. In the Washington DC embassy, Abol Fottouh came out on top, one activist attested that the voting in the DC embassy had been transparent where citizens could monitor and help. I just voted in Egypt’s free unfair elections. Most people listen to it on television thinking that anchors are saying Egypt’s first free and fair elections. That is a mistake, it’s written Egypt’s first free unfair elections. The odds were stacked against democracy from the start. Democracy has been mistaken for majority rule. It is apparently necessary to point out that they are different. Rule of the majority gives the majority the license to commit immoral acts that disrespect human rights and minority rights, but democracy does not. Real democracy should not allow the election of people who will transform rule into a dictatorship. So back to elections. Everyone is picking someone for different reasons. This is what happens when people are deprived of choice all their lives. I’m not just talking about elections. I mean the entire culture of Egypt does not allow for more than one correct answer. School exams do not accept differing views over what is the correct answer just like Mubarak was always the right answer. The logic behind every choice is surprisingly devoid of moral obligation. Some voting for Aboul Fettouh have expressed their interest in change, any change. Some voting for Moussa see him as experienced, although his experience is only in how to behave while in a corrupt regime and not be kicked out and sent to prison. A Coptic woman today being interviewed by Egypt Independent said that Shafik wasn’t very good at speaking, held Mubarak as his role model, and probably won’t side with the revolution but at least he’s honest. How is that even a way to make a decision? The reality for that woman is that her fear of Islamists have driven her to a member of the former regime who was responsible for blowing up a church a little over a year ago. She also said that other candidates did not understand the economy, and when asked if Shafik did, she said no. This is just an example and a good one at that. It’s someone who isn’t denying the facts but denying logic because fear has kicked in. There are others who will deny facts to appease their fear. 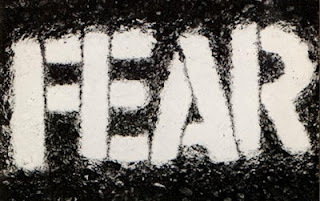 It is fear that controls these elections. This fear was propagated by all the parties involved whether they be Islamists or the military junta that has taken charge of this country. Everyone has a different reason for voting who they vote for and it’s not an expression of their opinion. That is why these elections are unfair. People have been cornered directed by their fear not their freedom. We are not free enough to choose what we really want. With Islamists and the military controlling the political spectrum it is not foreseeable that we will be any time soon. Our fight is against those who nurture our fear. That is why when people vote for anyone, asking them for explanation is pointless. Their fear will be manifested as twisted logic and sometimes even depraved. We are victims of mass terrorism, terrorism by religious leaders and terrorism by the state. I know many people have not voted for those they want. I know many have voted out of fear, ignorance or pragmatism. I know many have compromised in the hopes of a bigger goal. I voted Khaled Ali. I voted selfishly before having to make all the moral compromises that I would have done anyway had he not been running. I know it’s not the wisest decision but in the ballot paper, there’s a column that says, column of expressing opinion. I’ve selfishly used that opportunity to express my opinion, not my wisdom, not my fears, not any of the pressures exerted on me. I’ve chosen the selfish route this time around instead of boycotting or ruining my ballot paper. This paper has more value to me than those who made it. My fight is to give it the real value it holds for me. I voted in these unfair elections because the odds stacked against us may change if we fight this losing battle. There is so much we still need to learn. We need to learn how to win, we need to learn how to care, we need to learn how to rid ourselves of fear. We need to learn. Yesterday I was surrounded by Shafik supporters. Usually I debate until winning the conversation, but I didn’t do that yesterday, because winning the conversation is not winning their understanding. I remained silent and in my silence I contemplated a little more as I listened. I was saddened as I thought about it. These were people determined to take away our dream of freedom because they were too afraid. They were people determined to put us down because of their own dreams of selfish existence. It is their fear that stands in the way of our dreams. They were people who chose to ignore the facts because they were too emotionally invested in the status quo. I was saddened that it would be ignorance that kills our dreams not poverty. The cost of growing up is a skewed moral compass and much more so in a country like Egypt that provided us with a lifetime of slavery. My response to those arguing with me is that they were older and knew better and I didn’t know how they felt about me saying this while some of them knew full well how invested I was in finding out the truth about events around me while they were ill informed and almost apathetic. Our dream will be killed by apathy and ignorance and I don’t have the answer of what it will take for people to start to care. We have worked hard just to take the keys of their chains back to them and they want to simply hand them over back to where we got them. Fear, ignorance and apathy are the true enemy that the regime has nurtured and continues to in order to fight our dream. Our dream is their nightmare, it strips them of their mastery over us and it strips them of their power.